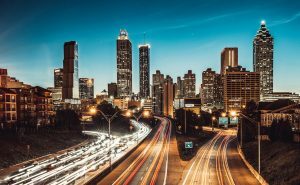 Over the past few years, Atlanta has been lauded for its cost-friendly environment for doing business. Atlanta startups have a record of growing third fastest in the U.S. from 2007 to 2012. Whether you run a scrappy startup or a multi-billion dollar corporation, communication plays a huge role in your success. You need a high quality and easily customizable phone system at an affordable price. A hosted voice system provides all these features, as well as round the clock customer support. Internet connectivity means 99.999% uptime and you demand all the benefits of the “big box” providers without the hassle of dealing with their customer service. Whether it’s managed ethernet, coax, or T1, Digital Agent has you covered. Having a competent IT services provider allows you to focus on your main products. The provider gives you advice on the best hardware, software, and other IT related products your business needs. This reduces the uncertainty and high cost that comes with managing your own IT infrastructure. Gone are the days when businesses needed to host their data locally. Cloud computing has made it easier for you to focus on your core business. Digital Agent is a leader in cloud computing design and management. Cases of hacking, identity theft, malware, ransomware, and other security risks have grown over the years and no business is too small to breach. To maintain your clients’ trust, you must have a top-notch security system guarding your data. Sentry and Locknar Firewall, both offered by Digital Agent, are good examples of such security measures. Digital Agent offers all these services and has seen it all. Our 20 years of experience in the metro Atlanta business landscape will be put to good use in starting or growing your own business. Contact us today for more personalized solutions.